Like in the first example, the total spent by all the transactions never exceeds the total available at that address, so I'm curious why this is considered a "double spend". How should you structure a series of transactions spending from the same address so that a double spend is not triggered? A double spend occurs when the same BTC is used to pay two different people. This will never happen on the blockchain because the Bitcoin network guarantees a consistent ledger. But, what about the unconfirmed transactions that live in the miners' mempools? Some inconsistencies in the mempool may not manifest until they are added or not-added to the blockchain, others we can flag as invalid right away e.g. 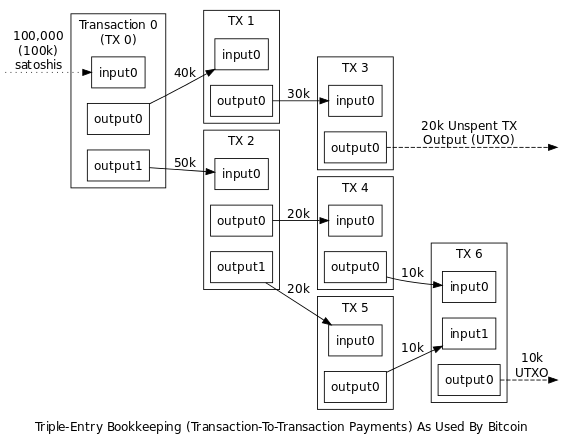 amount exceeds available funds etc; If unconfirmed transactions were not checked for validity, an attacker could flood the mempool with bogus transactions and cripple the network. A submitted transaction that has the exact same inputs and outputs as another unconfirmed transaction in the mempool is rejected by the Bitcoin network (even if it was a valid financial transaction). 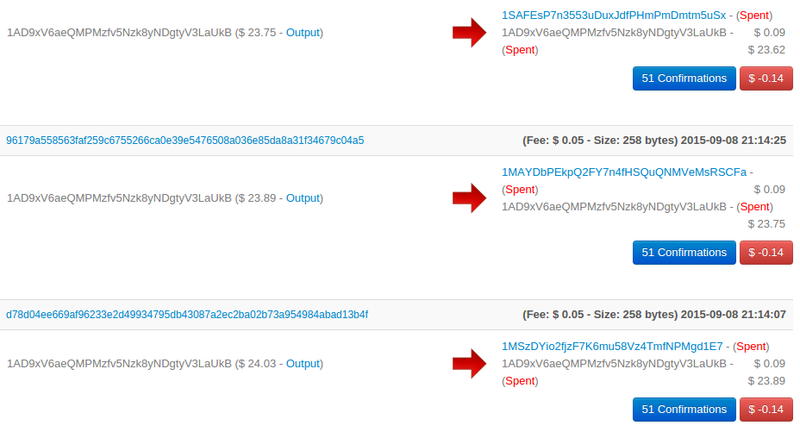 For example, I could send 1 BTC from A to B, and while the transaction is unconfirmed, send another 2 BTC from A to B. As long as A has 3 BTC to cover the transfers, these transactions are consistent, but conservatively rejected by miners. Since the amounts are different ($23.75, $23.89, and $24.03), they can't possibly be the same output. Not the answer you're looking for? Browse other questions tagged transactions blockchain.info electrum doublespend python or ask your own question.